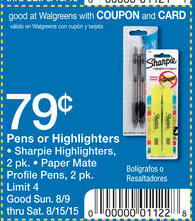 Walgreens gets my vote for top school supply deals this week! 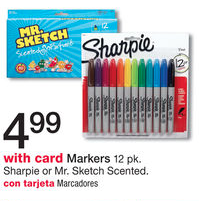 The prices for Sharpie Markers and Mr. 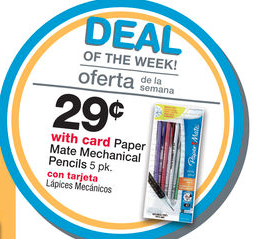 Sketch markers are already amazing and then there are coupons to match up to make the deal even better! YAY! Don’t feel like shopping online? Make sure you also check out this Amazon School Supply Deals list. 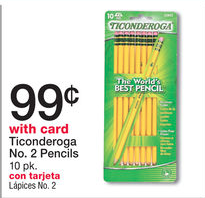 Ticonderoga #2 pencils (10 ct) – $.99 – ask any teacher, they’ll tell you these are THE BEST! Freebie Friday: 8X10 photo, yogurt, credit score & more! HAPPY FRIDAY! Here’s a GREAT last minute Mother’s Day gift idea! Get a FREE 8X10 photo enlargement from Walgreens! Add a cute frame, and you’ve got a great gift for mothers or grandmothers! Make sure you enter the code FREE2PRINT at check-out to take advantage of this promotion! Choose to pick it up at your local store to avoid shipping charges! This offer is valid through Saturday, 5/9/2015. You cannot use the mobile app to take advantage of this promotion. Free Weekend Fun Round-Up: Lowe’s Build & Grow Event, free bowling, free kids cooking classes & more! Teacher Appreciation Week freebies & deals: Sea World passes & more! Take advantage of today’s Kroger Free Friday Download. 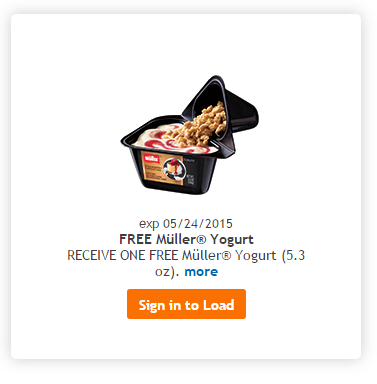 You’ll get FREE Muller Yogurt! Just add the coupon to your Kroger Plus card (or participating loyalty card) today and then redeem it in store by 5/24/15. The purchase price will automatically be deducted at check-out! While you’re there, make sure you also grab this coupon to get Double Kroger Fuel Rewards points on weekends! We save a LOT on gas every month thanks to our Fuel Rewards points! Get your 100% FREE Credit Score from Credit Sesame! I have been using them for YEARS and I love it! They will give you credit monitoring updates and tips for improving your credit, too! There’s absolutely no payment information needed EVER! FREE Club LEGO Magazine Subscription – my son has been getting this for a few years now and it is seriously completely! He looks forward to getting it in the mail! FREE SUMMER BEAUTY BOX FROM JULEP: I got this last summer and LOVED it! It includes 4 free full size nail polish! All you pay is $2.99 for shipping! There are TONS of freebies for new moms available right now! All you have to pay for is shipping! I have had several readers take advantage of these freebies in the past and they’ve been a hit! They are great for gifts, too! Use code ENBABY at check-out to grab these freebies! Free Baby Leggings – get five free pairs of baby leggings and just pay shipping! FREE Baby Sling – choose your pattern and just pay shipping! Free Breast Pads – just pay shipping! Free Car Seat Canopy – choose your material and pattern and just pay shipping! Free Nursing Cover – choose your print and just pay shipping! Prego Italian Sauces just $.63 each! Week by week, I’ve been trying to add cheap grocery items to my stockpile! 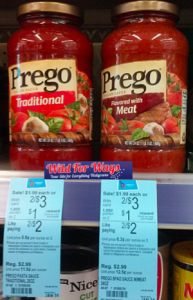 This week, you can get Prego Italian sauces for just $.63 each at Walgreens! Final Price = it’s like paying $.63 each! NOTE: You can price match the Walgreens sale price at Target or Walmart, and you’ll pay $2.25 for two bottles ($1.12 each) after coupons. You will need a Balance Rewards Points card to take advantage of this deal. It’s free to sign up if you don’t have one already! Walgreens Black Friday Ad Match-Ups for 2014! Here is a page by page list of all the deals you can grab at Walgreens this Black Friday!